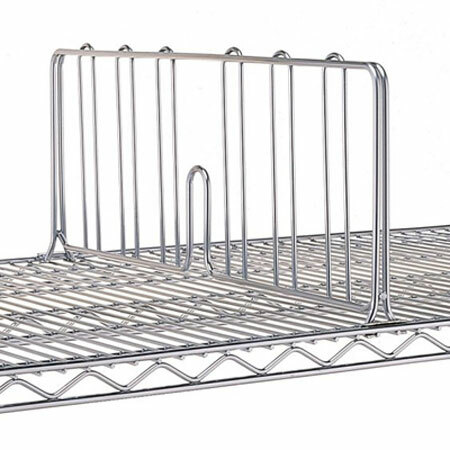 This chrome wire shelf divider allows you to quickly and easily organize the contents of your shelving unit. It is 200mm high and made of durable chrome plated wire to easily separate your files, boxes, or other loose items. 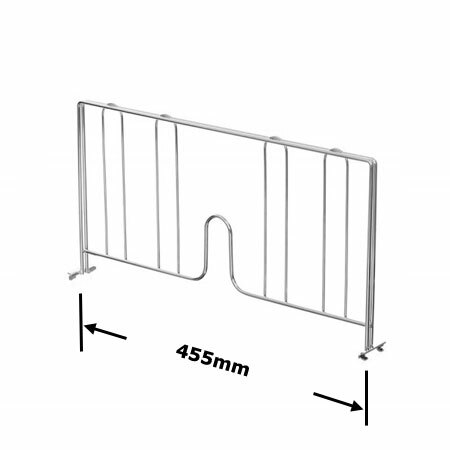 This divider fits chrome wire shelving that is 455mm in depth.